Billy Wilder’s filmography includes classics that don’t show their age like many pictures from the same era. Titles like Sunset Boulevard, Some Like It Hot, and The Apartment continue to engage audiences more than 50 years after their original releases. After growing up in Austria, Wilder fled to the United States in 1933 after the rise of the Nazis. Family members were killed in the concentration camps during World War II, and this tragedy gave him a pessimistic outlook on humanity. His movies reveal the darker side of our nature and rarely have conventional happy endings. Even his comedies tend to end on offbeat notes and don’t promise eternal happiness for the characters. I’ve seen most of Wilder’s signature films, but there are plenty more that have escaped my attention. This marathon gives me the chance to go further into his career and learn more about this skilled writer/director in the process. Although they lack the same recognition as the titles mentioned earlier, these selections remain well-known and stay relevant for modern audiences. 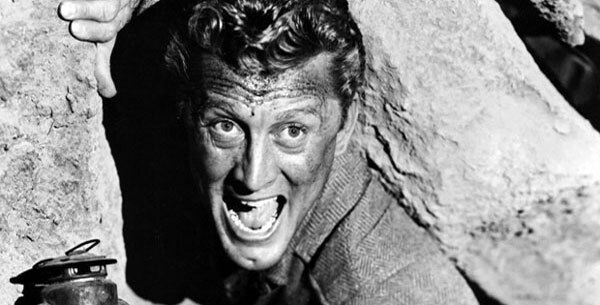 The first choice is his scathing look at journalism in 1951’s Ace in the Hole. Chuck Tatum (Kurt Douglas) is a down-on-his-luck journalist working at a New Mexico newspaper well off the beaten track. When he stumbles onto a man trapped in a Native American cave, Tatum recognizes the opportunity to regain his status. Caring little for the victim, he creates a media circus that gets out of control and tarnishes everyone involved. It’s clear from the start that Tatum is only interested in his career. He skillfully manipulates everyone to serve his interests and cares little for the consequences. By the time he realizes the ultimate stakes, it’s too late to salvage anything. The trapped Leo Minosa (Richard Benedict) trusts Tatum and believes he’ll do the right thing, and that innocence wears on even the hardened journalist. 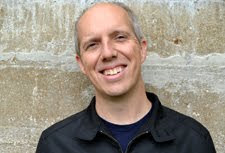 The reason we stick with Tatum is the fine work from Kurt Douglas, who rarely gets the acclaim he deserves. We see part of ourselves in his determination to prove the doubters wrong and reach the top again. It’s a fiery performance that matches the heightened emotions of the film. Minosa’s wife Lorraine (Jan Sterling) joins him on shaky moral ground and is ready to leave her husband when the opportunity arrives. She’s trying to escape a broken marriage and sees little fault in abandoning her husband at the worst time. This behavior is stunning, but it gets even rougher when Tatum convinces her to stick around. She finds a new passion in making money, and this commercial focus matches nearly everyone. Only the veteran newspaper editor Jacob Q. Boot (Porter Hall) sticks to his guns and follows his mantra to tell the truth. He provides a conscience to a movie filled with vultures who’ve lost their humanity. Wilder is clearly attacking the press for its uncaring focus on “human interest” to sell papers. They care little for victims yet see the attraction in selling their plight to the masses. Tatum embodies this worldview, but he’s hardly the only one. He’s become this way because of the brutal environment. Wilder paints a bleak picture of a soulless hell where families take carnival rides while a man dies a short distance away. It’s a cynical outlook yet isn’t so far from the truth. This negative view goes well beyond just the world of journalism. The local sheriff (Ray Teal) will do anything to get elected and is even more unscrupulous than Tatum. Getting Minosa out of the cave shouldn’t be a problem, but Tatum purposefully slows it down to extend the news cycle. What’s exciting after an easy rescue? An extended and difficult attempt to save the guy is something else. It draws in the easily manipulated masses and keeps them coming back for more every day. 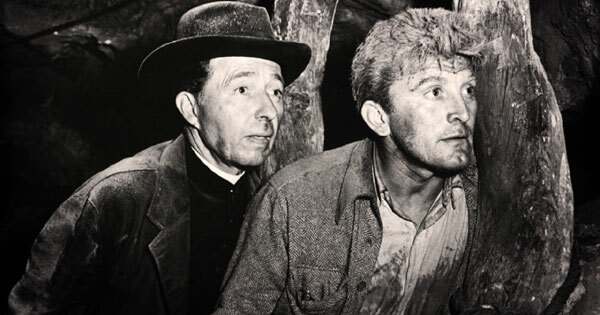 Ace in the Hole is dark even by Wilder standards, and that sour perspective connects today. We live in a world obsessed with celebrity and the latest sensation, so the circus around Minosa is familiar. It’s the type of story that local newscasts would eat up and devote crazy attention to it. After its unfortunate end, the carnival disappears and leaves nothing but some debris to indicate they were ever there. This also matches the quick moves to the next sensation we encounter today. This film struggled at the box office and drew negative reactions from critics. The studio even changed the name to The Big Carnival to try and generate new business. This action didn’t work, and I expect that audiences weren’t ready for such a brutal look at our culture. Newspaper writers didn’t want to hear they were corrupt, and general viewers shied away from the abhorrent behavior. It likely hit too close to home and showed a part of humanity that many would like to dismiss. I’d be remiss to skip the final shot, which drops a dead man right into the frame. This closes the story on a devastating note and shows there’s no hope for a happy ending. Tatum has gone too far into the muck, and trying to escape is foolish. His fate was sealed days earlier, and it was only a matter of time before he faced the music. Douglas has a nasty moment where he forcibly tries to make Lorraine play the “grieving wife” role. She wants no part of it, and his anger quickly shifts towards a violent rage. The film opens with Tatum arriving at the newspaper and deftly convincing Boot that he deserves a job. He turns on the charm and reveals his past issues while staying confident. Tatum has made his living as a liar, and even the film’s moral center doesn’t recognize his issues. Ace in the Hole was interesting for Wilder because the script was not co-written by his longtime collaborator Charles Brackett. They had a falling out during the production of Sunset Boulevard, so Lesser Samuels and Walter Newman stepped in as his fellow writers. Brackett kept Wilder honest and introduced more refinement in his work, and that grace is lost in this picture. That change fits with the cynical tone and leads to a tougher presentation. Softening the edges would have improved its commercial prospects, but the impact might have been limited. Wilder’s script is harsh and morose, yet it still provides an engaging ride. Its points about human nature and falsehoods remain poignant today, and this film deserves more interest from modern audiences. Next week, I’ll join William Holden in a German POW camp in Stalag 17. This is a hell of a film. I wasn't prepared for how relevant it would be for the journalism we see today. If anything, it's more relevant now than it was when it was made. This is one of those few films I find compelling despite my dislike for almost every character in the film. Then again, I tend to like everything Wilder put on the screen, so my bias may be evident here. Steve, I also didn't expect Ace in the Hole to be so relevant today. It's such a negative depiction of humanity but remains so engaging. Wilder is a great writer and develops his characters so well. Even the despicable ones (and there are a lot in this movie) are still interesting because they aren't simple. I'll agree with Steve here as well. Such a relevant script even after 60+ years. I was really fascinated by the confidence with which Douglas carries his character. Disgusted as well, but more fascinated. I am not sure why this isn't one of Wilder's signature films. It really should be. I, myself, certainly consider it. Probably Wilder at his most critical of the Society! 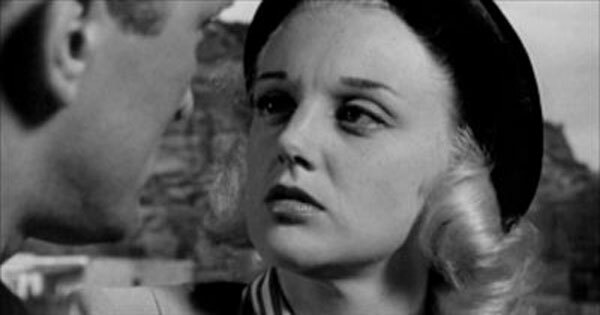 I think its bleak outlook on humanity (and nasty ending) may keep Ace in the Hole from being considered on the same level as The Apartment, Some Like It Hot, and others. I think it's great, but it's very cynical. Some viewers aren't going to like a movie where they can't connect with the lead and nearly everyone else. It's hard to say for sure, though. "It's pretty Albuquerque, even for Albuquerque!" Ever notice that the opening has Tatum mock the editor for wearing both a belt and suspenders, and yet in the very next scene he's doing it too? I did notice that clever touch. To me, it's showing that Tatum will do anything to try and re-acquire his status. If he has to imitate the owner to draw his attention and get the top stories, he'll dress like him. It can be read in different ways, though. Chris, I wouldn't call it blasphemy. I'd put The Apartment slightly higher if I ranked them, but it would be close. I think Ace in the Hole is a much bleaker film and lacks the appeal for most audiences of The Apartment, but it has a lot to say. It's tricky because they're such different movies. Regardless, both are very well-written and show Wilder's ability to write in all types of genres.